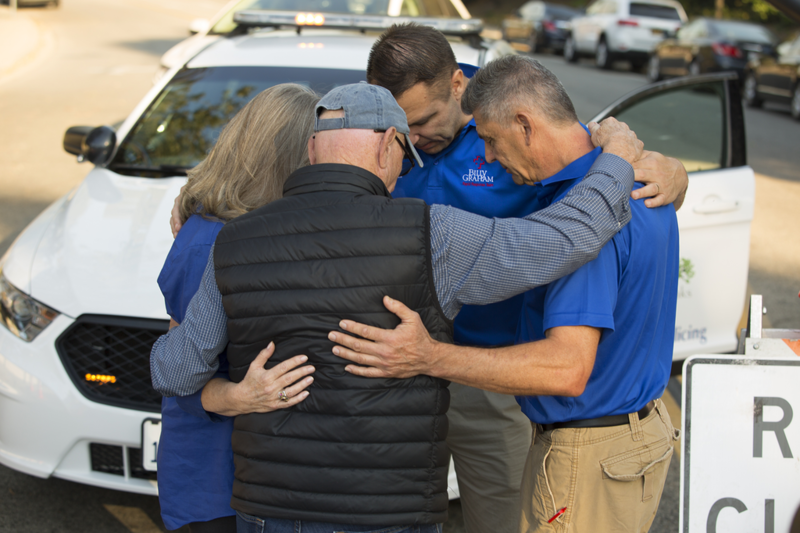 Following a mass shooting where a dozen people were killed at a country dance venue in Thousand Oaks, California, on Wednesday night, the Billy Graham Rapid Response Team is deploying to provide emotional and spiritual care to those hurting. 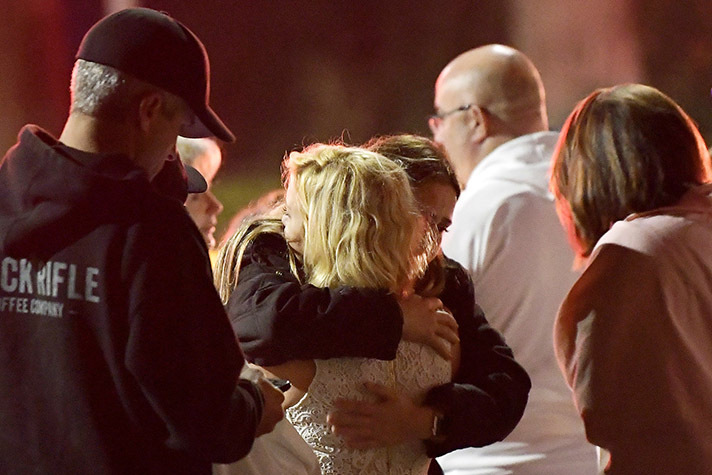 Late Wednesday, a gunman killed 12 people and injured multiple others at Borderline Bar & Grill in Thousand Oaks, California, around 40 miles west of Los Angeles. The bar was hosting a “college country night” with line dance lessons, and nearby Pepperdine University has stated several of its students were at the site. Government officials have invited the Billy Graham Rapid Response Team (RRT) to assist their hurting community during this time of crisis. 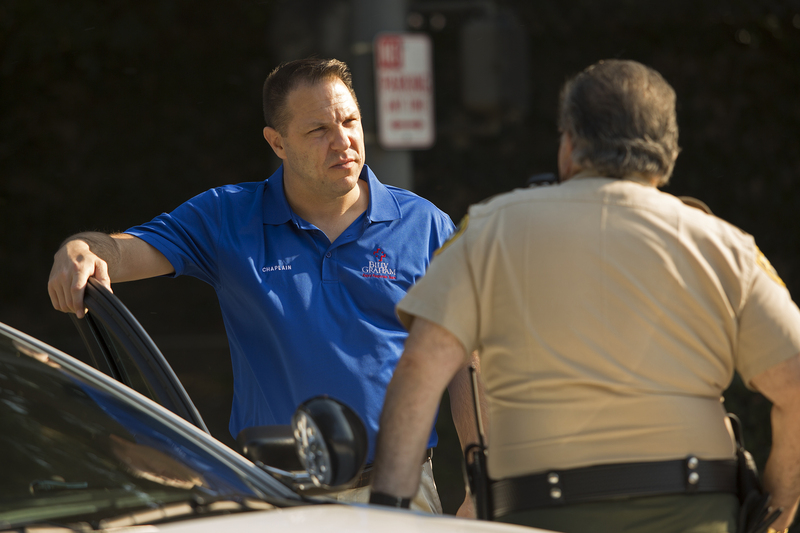 The team is a network of thousands of chaplains—hundreds who have a history serving in law enforcement or as first responders—who deploy at a moment’s notice to provide emotional and spiritual care during natural and man-made disasters, like mass shootings. According to news reports, the shooter died from a gunshot wound after opening fire on the crowded bar, taking many lives—including Ventura County Sheriff Sgt. Ron Helus, a 29-year department veteran who rushed to the scene. A chaplain offers a listening ear to a local police officer. The team responded to a mass shooting in San Bernardino in 2015 and was in Ventura County just last December in response to a wildfire. They returned to the state again this summer for wildfires in Shasta County. With multiple shootings and hurricanes occurring since then, the RRT has had an active fall season. They currently have six other deployments, stretching along the East Coast from Hurricanes Florence and Michael. “Would you lift up in prayer all those wounded and the families whose loved ones were killed in a shooting in Thousand Oaks, California, last night?” Franklin Graham shared on Facebook. Back in the spring, he held prayer and evangelistic events throughout the state on the Decision America Tour, calling people to ask God for revival in our nation. That need is evident as many lives were lost in Thousand Oaks, considered one of the safest cities in America.